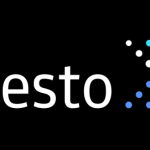 Welcome to the Presto Newsletter, a monthly round up of news and events relevant to the Presto community. On January 12th, the first Presto User Meetup in China was held. The PSF is a non-profit organization with a singular mission to support a community of passionate users and developers devoted to the advancement of the Presto distributed SQL query engine for big data. TalariaDB is a custom data store used, along with Presto and S3, by a scalable data querying engine. Read how it was conceived and an overview of its features. A background on the growing trend of separating storage from compute capabilities. A deep dive into Netease Games, one of the world’s leading online game developers and their decision to use Alluxio + Presto to develop their new realtime query platform. Learn how Presto stacks up against Hive and Spark in the comparison and benchmarking exercise. Did you know that stats can be now computed natively in Presto?